Private Wine Tours - Private and small-group wine tours of the Barossa Valley, Adelaide Hills, and McLaren Vale. A must for the serious Shiraz lover or those who want a little bit of luxury, Explore the Barossa with your knowledgeable wine guide on this fully private wine tour with a flexible itinerary. We’ll work with your feedback and choose the wineries that best suit your interests. Let us know what you like and leave the rest to us – it’s what we do best! Crisp white and light red wines might be King here but there’s a world more to Explore in the Adelaide Hills. Food and wine matching experiences, cheeses and chocolates, it’s a flavour sensation – and only 30 minutes drive from the City Centre! A fully private wine tour with a flexible itinerary, we’ll help you discover the best of the region as guided by your interests. Tasting super-premium Shiraz from select vineyards around the Barossa, we’ll help you understand the true characters of Barossa Shiraz. 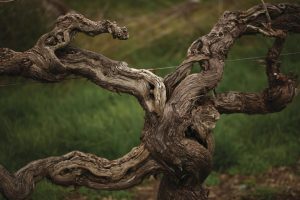 We’ve done the hard work of uncovering single-vineyard wines from different sub-regions of the Barossa, so you can relax and be guided through the varied tastes and of the region. Penfolds Grange. Henschke Hill of Grace. The ultimate in luxury, prestige, and exclusivity, The Pinnacle is for those guests who expect only the absolute best. A full day of premium touring, exquisite dining, and world famous rare wines.